How to do SEO for single page website – Do you know how to do SEO for single page website? If not, then this is the right place to be in. 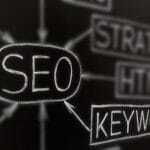 If you are working in the SEO field then you might be aware of its importance. SEO plays a very important role in bringing traffic and required sales for your business. Single page website also needs good SEO to survive in the internet world. So, here we will discuss the ways to do SEO for the single page website. One page websites usually don’t get much attention both from the audience and the search engines. Sure they have fancy designs and every other thing but their single page composition makes them less attractive for some reasons. Providing single page website with professional SEO services can give them the required attention. A single page website, unlike others, has their content, services, and design on a single page to scroll through rather than multiple pages. They are quite famous and you might have come across some of them on the internet. There are many benefits of having a single page website instead of multiple page websites. They are mentioned below in the list. With single page websites, you can control the flow of the information. You get to provide them with the relevant information. Even the small text can do a lot for you and the website. They are great for the mobile use and also they are unique in their own ways. We cannot deny the fact that single page websites are a little difficult to rank. Also, they are tough to optimize for online searches. But provided with the best SEO services you can get good results even for single page websites. 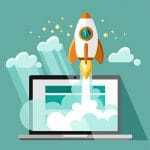 Below mentioned are some of the tips that you can implement in order to get the best results for your single page website. Link building otherwise is crucial for all websites but is very important for single page website without too much of content. 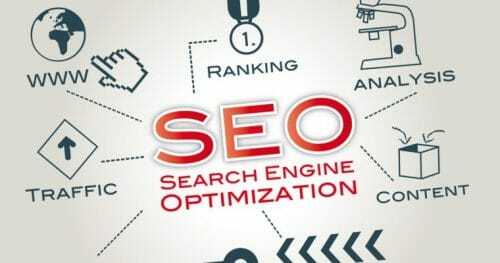 Usually, on page optimization is limited to single page websites, therefore, you will need to rely on the links to drive more traffic to your website. You can also social media buttons to increase the number of likes and customers organically. A great content is extremely important especially when you have single page website. If your site is going to be one page then the content on it have to be spectacular. Single page websites are cool but poor content will lower their worth. Therefore, do not ever forget to add great and awesome content to your website in order to get more attention from the audience. Keywords are even more important than the content. Smartly used keywords in headings, titles and the whole content can get you the required attention and love from people. You can easily target the audience with the specific keywords. You need to know which keywords will bring you more benefits and where can you put them in the limited space. Once you are done finding this you can get the best results like never before. Tracking is important not only for the results but for everything related. Tracking allows you to know about your company’s positives and negatives. You can track everything with Google analytics. With this method of tracking, you will know where your efforts are taking your website. You can then work on the negatives and stick to the positives to get the best results. SEO is very important to help single page website grow in the online world. 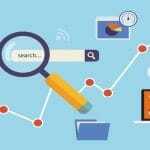 If you were unaware of doing SEO to these websites then I hope this might have been of some use to you. Aforementioned are the best tips to apply in order to get the best results even for single page websites.